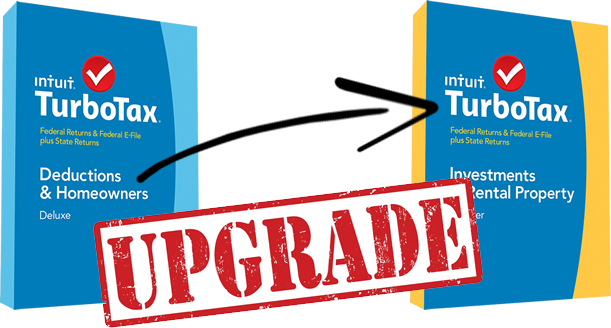 Updated on Monday April 8th, 2019: If you bought a hard copy of TurboTax and, with the box opened and the software installed, you now realize that you need to upgrade to a higher version of TurboTax then don’t worry – It’s really easy to do (unlike downgrading which is a little bit more difficult). You can upgrade from almost every TurboTax version within the software itself and without having to return it to the store that you bought it from. Let’s take a look at how this is done and if it’s worth it. Once you have your version of TurboTax installed and open on your computer, just click on the “Upgrade for Additional Help” link at the top right of the window (should be the same link on both PC and Mac versions). A new pop-up will appear and here you’ll be able to choose the version that you need and click “Upgrade Now”. Here you’ll be able to choose the version you need and will be taken to the payment section to process the upgrade. Just remember that once you pay for the upgrade, you won’t be able to downgrade to a lower version if you change your mind at a later time – It’s a one-way street. Basic can be upgraded to Deluxe, Premier, Self-Employed or Home & Business. Deluxe can be upgraded to Premier, Self-Employed or Home & Business. Premier can be upgraded to Self-Employed or Home & Business. What’s the cost to upgrade? While upgrading your TurboTax version is relatively easy to do, in most cases when you account for the software you already bought and the upgrade price, together it will likely cost you more that just getting the version you needed in the first place (especially if you used one of our many TurboTax discounts to make the purchase). You do have an option to return your TurboTax software within 60 days from the date purchased, even if you bought it at a third-party reseller. Here’s more info on how to request for a refund on your TurboTax software. If you’re having difficulties or encountering issues, then we’ll do our best to help you out. Leave your questions in the comments section below. 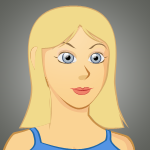 You can also find more details directly in TurboTax’s help forum. My husband and I have Tubbotax Deluxe installing and running. We want to upgrade to TurboTax Premier. When we input our info and payment in the form and press continue, it tells us our session has expired. How can Upgrad online? Thanks. Already filed 2015 Premier. Have to amend and need to upgrade to Home & Business. Can I do both at the same time? The folks at TurboTax confirmed that some customers are receiving an error when upgrading from TurboTax Deluxe To Home and Business Desktop… they are still working through the kinks. Here’s more info.